The first One Day Internationals (ODI) was played on 5 January 1971 in Melbourne, Australia, between England and the hosts. It was unplanned for and was played because the first three days of the Test Match were washed out by rain. Each team had to bowl 40, eight ball overs. Australia overcame England with 5 wickets to spare. ODIs were then played with a red ball and white kits. Can virat kohli break sachin’s record? Kerry Packer was an Australian TV tycoon negotiating with Australian Cricket Board (ACB) for exclusive television rights to all cricket matches for his Channel 9. He could not make much headway and was frustrated. Packer had seen the first One Day match played and made a plan. A plan, that shook the cricketing world like never before.He contacted the top cricketers of the time like Tony Grieg, Clive Lloyd, Imran Khan, Ian Chappell and contracted the astute Richie Benaud as his consultant. They secretly contracted all the players to play privately in Kerry Packer’s World Series Cricket (WSC). The players were more than willing because they would be paid handsomely and wouldn’t have to look for other jobs.India however survived the onslaught. 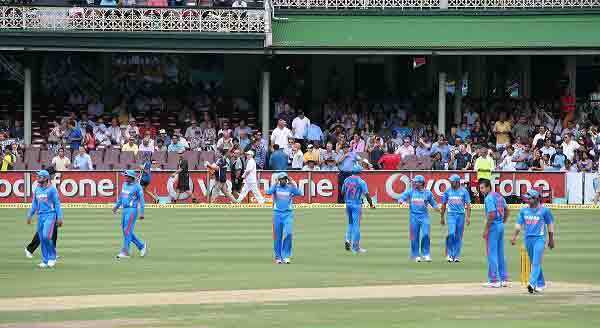 No Indian wanted to join the series despite several players being approached. When the cricket associations of Australia refused to lease grounds to Packer, he leased Rugby grounds and had pre-laid pitches lower into the stadia by giant cranes. Coloured kits were designed for the players and they were given an aura of warriors. The speed merchants of the day, Andy Roberts, Michael Holding, Jeff Thomson, Dennis Lillee and others were asked to go all out. Packer did not believe that spin bowling was effective in one-dayers. The first WSC match, a five day match and called a ‘Supertest,’ was played on 2 December 1977. The crowd was not very impressive.The day and night matches, with the players wearing colour clothing attracted more spectators.Because of the intimidatory fast bowling tactics, things started changing. David Hookes was hit by an Andy Roberts delivery that resulted in a broken jaw. The subsequent matches saw players wearing motorcycle helmets for protection. The West Indian Cricket Board was the first to put spokes in the WSC by selecting their players from the WSC to play the visiting Australian side. The WICB had further commitments to tour India and Sri Lanka. To this the WSC told players that they cannot be released as and when their board wants. The West Indian captain Clive Lloyd resigned captaincy in anger and all West Indian players resigned from the WSC. The cricket boards in other countries too started backing up on their agreement to shun WSC players. Pakistan, playing India for the first time in 17 years, included all WSC players in their squad. Slowly other nations started accepting WSC players back in their fold. A sort of unofficial truce was declared. Official ODI’s were played with full strength teams and the WSC dwindled away. But cricket did gain in many respects from WSC. The Cricket played under lights was solely a result of WSC experiences. The use of helmets, of white balls and of new balls at each end all came from WSC. Players were now being paid much more than before WSC. Everyone was happy in the end.